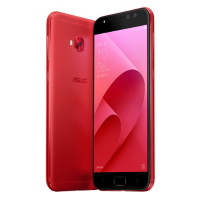 The Zenfone 4 Selfie Pro sports a Sony IMX362 dual-pixel image sensor.It also takes 4K quality selfie videos. It is powered by a 2.0GHz Snapdragon 625 CPU, with 4GB of RAM. Plus, it has the desktop-grade Adreno 506 GPU for smoother graphics.